Promote your certified program and increase shoppers awareness of certified program benefits with this unique placement, the Certified Filter. Only applies to OEMs who purchased their Certified Partnership package (i.e. CPO feed). 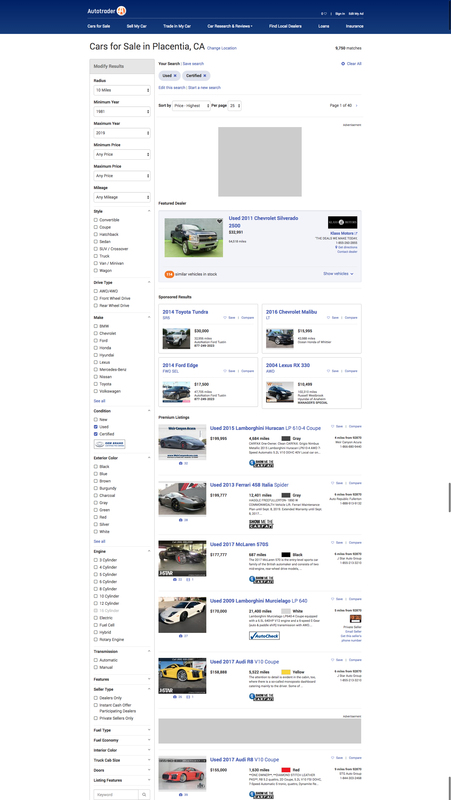 110×30 tile appears on the Search Results Page and Make page – sold together. Shopper clicks on “certified”, the search results will populate with the selected Make and Certified search criteria. Shopper clicks on the tile, a modal will appear; model that spawned from filter and listings is the same (same specs). 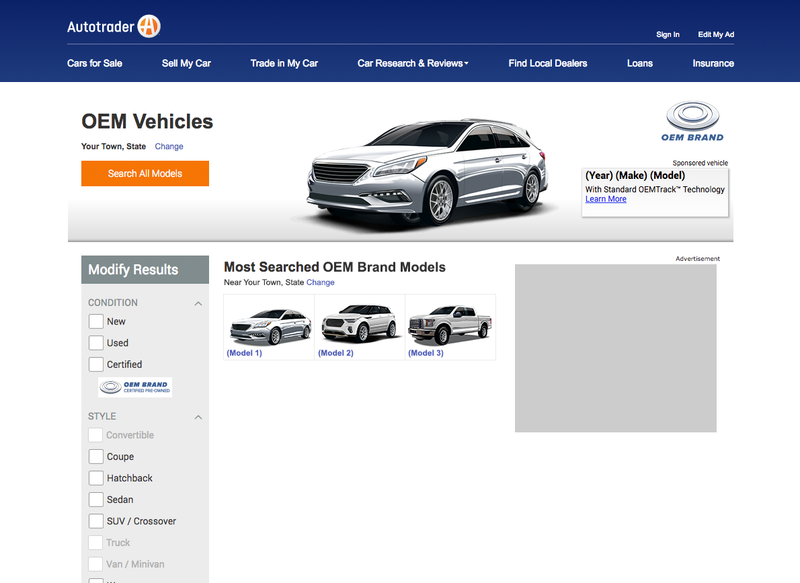 Up to 4 OEM CPO filters could appear on the Search Results Page at the same time if a shopper selects multiple makes. Note, this is similar to the current site functionality with multiple Make selections. Tile and link must populate a Search Results Page search on AutoTrader.com. Copy, 1×1 tracking tags and images should be attached to an O/R case in SFDC for routing and fulfillment.